HySoR is a graduate project in the Department of Aerospace Engineering Sciences at the University of Colorado Boulder. The ultimate goal of the project is to launch a 2 kg dropsonde payload to an altitude of 100 km using a hybrid rocket engine. The primary sponsor of the project is the United Launch Alliance (ULA). 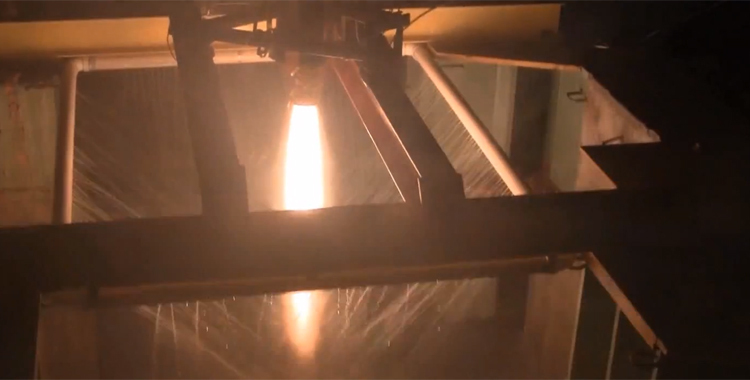 The current proof-of-concept rocket is designed for a 30-second burn with a peak thrust of around 900 lbf. The team is in its testing phase with our next cold flow test scheduled for October 26th and subsequent static test fire scheduled at the end of November. The first rocket launch is tentatively scheduled for Spring 2013. Good pitch at Space Access, guys!